management science and anything positive. I welcome your comments on these articles. Shiller home price indexes began tracking real estate values 18 years ago. It’s difficult to see how New Jersey could afford to spend lavishly on Amazon when the state a few years ago canceled a multi-billion-dollar overhaul of a critical century-old train link to New York City. Losers won’t have those worries, and many will get a boost from Amazon anyway. a funny thing happened on the way to the retail apocalypse. Stiffening competition, surging online advertising costs and cheap mall space have prompted these so-called digital natives to embrace what they call “offline” in a big way. Yours truly pens a post: 2017 was a mighty fine year for Atlanta office real estate. Macro events such as tax law changes, a roaring stock market, very healthy corporate profits and strong employment numbers helped corporate America to have a pep in it’s collective step. And Atlanta was no exception. “Shoppers came out in force during the holidays, driven by a strengthening economy, high consumer confidence and rebuilding efforts after a season of natural disasters across the country. Retail sales during November and December increased 5.5 percent, to about $692 billion, from a year earlier, according to data released on Friday by the National Retail Federation. My, my, what a difference a few Fed reports make. I have a confession to make. For more than 17 years, I have been connected to the grid. Except for sleep, I was always tuned on. Yes, even on vacation, at night and certainly on weekends. I bet I’m not alone in this admission, but at least I can publically declare my addiction to connectivity. I was like a real estate Waffle House; always on and available. Some will say I was like their hash browns as well; scattered, smothered, covered and chopped – but that’s another story. But for 12 days in June, I had no iPhone, no computer, heck, not even a tin-can with a string. 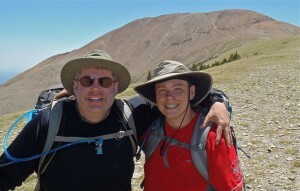 I accompanied my 15-year-old son Jonathan and his Boy Scout crew for a hiking expedition in the beautiful Sangre de Cristo Mountains of North Eastern New Mexico to Philmont Scout Ranch. I’m proud of the 93 miles we hiked, the trials we endured, and the trails we climbed. We had an amazing time overcoming the obstacles together and more than one mountain top experience. By the way, I know why they call it that – the whole mountain top thing – adrenaline and views over a 50 mile horizon are an awesome thing. Should it Stay or Should it iGo? I thought long and hard about this trip. I don’t mean what to pack on my back, although that got a lot of attention. I had a tough decision to make on my iConnectivity. Should I take my iPhone in my pack or leave it in base camp? Even in the wilds of New Mexico, one can get a signal at high altitudes. If I took it with me, I could make emergency calls, if need be. I’d have a compass, and plenty of eBooks to read in my tent at night. I could use the torrent of apps available for barometers, measure our distance covered, and perform all manner of important tasks. I could have a digital Swiss army knife (and yes, I could bring a solar charger to keep the thing going). Oh, and I could check email. I love my job, I love my clients, and my team had some very large transactions on the bubble. I really, really wanted to stay in the loop. I almost caved and brought the machine with me. There are SO many critical reasons to stay connected. I realized, though, that I would be bringing a Pandora’s box of information into God’s Country. I began to understand that, for me anyway, bringing an iPhone “back country” would be the same as taking a phone call in the middle of a sermon at church. I’d mar a great experience with my son, and wrap my head around work problems instead of seeing the world one step at a time through his eyes. That Swiss army knife would cut apart my experience with my son and the other Scouts. Bam! The base camp locker door closed and the deed was done. I’d have no access of any kind for 12 full days. We put on the packs and headed to the busses that would take us to where our trek would begin. I’m glad they didn’t take my blood pressure at that point. 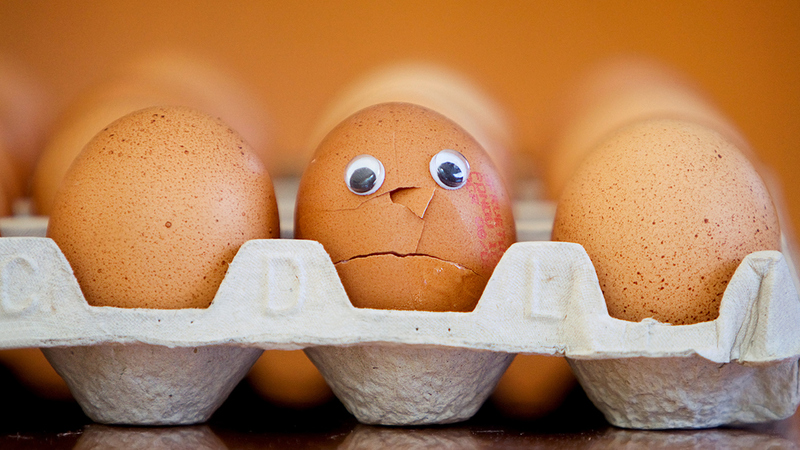 It had an immediate impact; and at first it was intensely negative. Uncertainty and doubt hit me. What had I done? What if I missed some major news item? I’m sure some client will need something urgently – probably right this moment! By the way, what do you do when you‘re waiting in line with nothing to occupy your time? Fortunately, there was no turning back on my information desert and I simply had to accept my decision. After a couple of days, I began to relax and get into the groove. And then it began to hit me: the power of full engagement in a task you care deeply about, with someone you love is an amazing experience. I learned to function without a device and I am a better man for it. My son and I had the time of our lives, and I am immensely thankful for our uninterrupted time together. He is too. After reflecting on this experience for almost two weeks, I learned that you can, that you must, unplug occasionally. Just a few weeks ago I would have (and did) scoff at the very idea. I am now a full on convert to strategic digital vacations. They clear the mind, cleanse the soul, and allow one to have rich and meaningful conversations with those close to you. I have a great team behind me, and I’m thankful especially to Alysen Thompson for digitally backing me up. The piece of mind I got from Alysen, Sam Hollis, Sarah Momberg and Clint McKellar on my team was priceless. 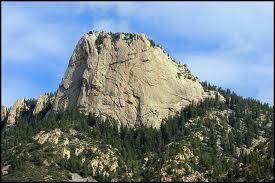 They brought me peace and confidence for 12 days at Philmont. I also learned that the world goes on without you. This is a sobering thought, because we all believe that the rat race will come to an end without us involved. But it is a true and helpful perspective, at least for me, in the midst of our busy lives. So, I am slowly reengaging in the digital world. I now have a newfound respect for the power of single tasking and focusing on the really important things in this life. Hug your kids, your spouse or your pal this weekend and turn the machine off. Take it from me and my iSeperation: your digital audience will be there on Monday. Be present in the moment, and you will create memories and relationships that will last well beyond that silly text message. And on occasion, may I recommend that you simply take a hike!